To me, creating is as necessary as air is to breathe. Every glance I take, I study the world around me and take mental notes. I am inspired by the simple beauty that nature has to offer. I feel a lone tree, farm field, deserted beach or winding road is truly worth celebrating. My works are typically uncluttered. My intent, most often, is to evoke a sense of calm and to convey how serene, desolate, and sometimes lonely nature can be. After selling numerous originals with little effort, I decided to open my own studio/gallery in March 2012 and my first year was a great success selling 62 originals in 10 months. I then took time off from art to focus on family which is the most important part of my life. In 2015, I decided to relocate the gallery to the Michigan City Arts District. Tragically our beautiful only child, Julia was murdered at age 23 in the spring of 2015. Needless to say this has changed my husband's and my lives profoundly. It is now in 2016 that we decided to make a change and combine our work and home lives and enjoy every moment of this fragile life we have. My primary medium is oil on stretched canvas and I use acrylic and latex paint for large scale works. I am very proud to say that I am self taught and that my art is purely my own. I have been painting for over 30 years. My art can be seen in several hundred homes and businesses in Chicago and the surrounding suburbs, NW Indiana and in private collections throughout the United States, Canada and China. I hope to be able to share my visions on canvas with you. Purchase Award May 2010. Art Barn's Annual Juried Art Competition, Valparaiso, IN. Honorable Mention May 2010 Art Barn's Annual Juried Art Competition, Valparaiso, IN. -Two paintings were juried into the 2010 Art Barn's Annual Juried Art Competition in Valparaiso, IN. -Two paintings were juried into the Michiana Area Art Competition at the Box Factory for the Arts in St. Joseph, MI. 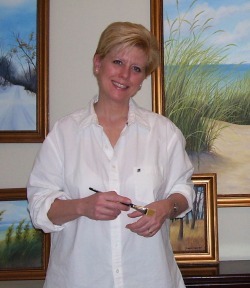 -Two paintings were juried into the 59th Annual Chesterton Art Show in June 2010. -Two paintings were juried into the Chesterton Art Comp show in August 2010. July 2011 Chesterton Art Center in Chesterton IN. June 2010 “ Michiana Annual Art Competition 2010” The Box Factory for the Arts,101 Broad St, St. Joseph, MI. December 2010 "Winter Members Show" The Box Factory for the Arts,101 Broad St, St. Joseph, MI. My passion for painting began at age 13, when I first picked up my mother’s paintbrush. I quickly began selling acrylic on canvas at art fairs and taking on commissioned work. I was voted “Most Artistic” at Lincoln-Way High School in New Lenox, Illinois in a class of 700 students. My work was selected to be in a juried show in New York at age 15 and won an honorable mention. For 14 years, I focused solely on murals and decorative paintings in businesses and homes in and around Chicago. My murals can be seen in private residences on Lake Shore Drive in Chicago, and suburbs such as Wilmette, Palos Park, Oak Park and Hinsdale. My specialty was trompe l’oeil, landscapes, sports and decorative painting. I was very successful with a typical waiting list of six months and all my business came by word of mouth. My work was also featured in many home tours in the Beverly neighborhood in Chicago where I began my mural career. In 1996 I opened a hand painted furniture store called “Artistic Décor”, on 95th Street in Evergreen Park, Illinois. I produced custom artistic hand painted designs on wood furniture. It was quite successful and turned a profit the very first year. In 2003 and 2004, I taught art part time at Saint Benedict’s Elementary School in Blue Island, Illinois. I also developed an Art Club after school where 30% of the student body attended. Many budding artist’s careers were sparked. While living in Blue Island for 15 years, I served on the school board at Saint Benedict’s Elementary School and was on the Blue Island Historic Preservation Commission. Another one of my creative passions is restoring old homes. We have completed 12 restorations over the last 20 years. In 2007 I put my brush down and focused solely on completing our 100 year old Victorian home in downtown Frankfort, Illinois. Our life long dream was to live on Lake Michigan and in June of 2008 we purchased a 1929 Mediterranean style stucco home that was ready for the wrecking ball. It was finally finished in late 2009 and I began painting once again. I am currently a full time artist and past recent president of the Southern Shore Art Association in Michigan City, IN and on the board of directors of the Depot Gallery and Museum in Beverly Shoes, IN. I'm also a member of the Chesterton Art Center in Chesterton, IN and the Box Factory for the Arts in St. Joseph, MI. My gallery/studio "J Anderson Gallery" is now open to the public and I’m finally painting full time again and enjoying every minute! (click here for details) I can't wait to see what the future has to hold!